The world’s top military powers are known for their strict secrecy regarding next-gen weapons. However, no country seems immune from accidentally leaking invaluable information about their current planes, ships or tanks to the public, as well as their adversaries. Sputnik breaks down the top five weapons accidentally exposed in the past few decades. When South Korea’s 55 ton, $8.5 million apiece next-gen main battle tank entered production in March 2007, it was a shock to many observers. Designed by the Agency for Defense Development and built by Hyndai Rotem, the project was developed in strict secrecy, and tested at hidden testing grounds. Currently the Black Panther is one of the most advanced main battle tanks in the world, outclassing anything North Korea or China have. However, in the early 2000, photos of the tank, its turret wrapped in camouflage fabric, fell into the hands of the press. 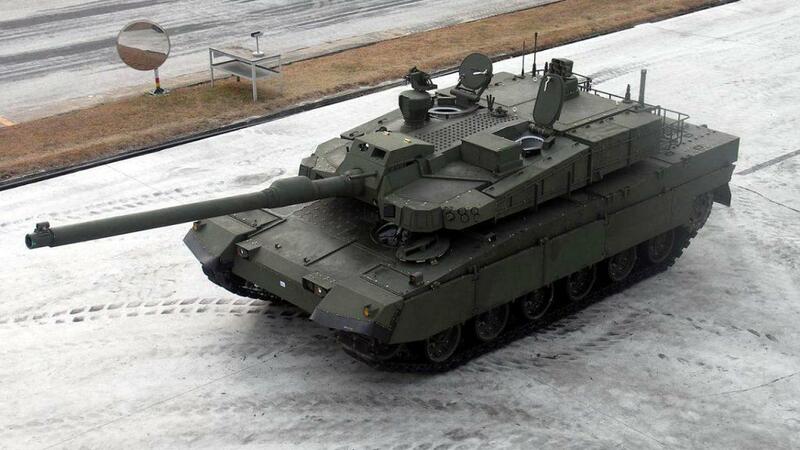 Military experts quickly calculated the approximate dimensions and mass of the tank, and figured out that its main cannon was a 120 mm Rheinmetall smoothbore gun. However, the tank’s electronics suite, communications equipment and active protection measures remained secret, with some tech (such as the K2’s composite armor) classified to this day. The IX-529 Sea Shadow was an experimental ship developed by the Defense Advanced Research Projects Agency (Defense Advanced Research Projects Agency) and built by Lockheed Martin for the US Navy in the mid-80s.Inspired by the Air Force’s experimentation with stealth technology, the Sea Shadow’s unique design gave the ship an extremely small radar profile. 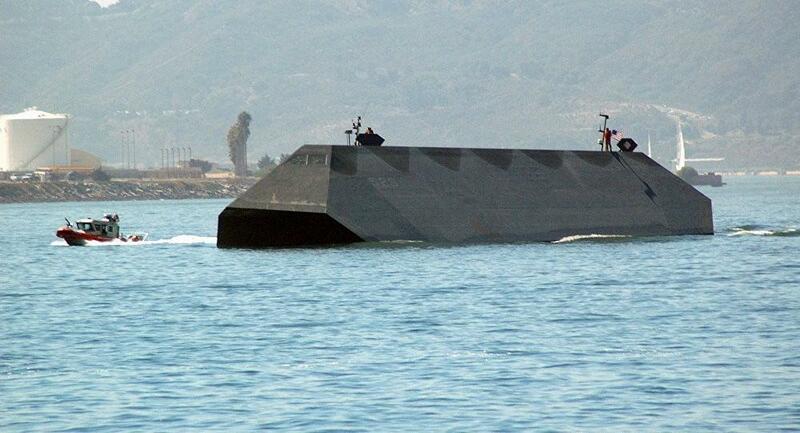 The lone Sea Shadow built was removed from service in 2006 and scrapped 2012. Ever mindful of their Soviet adversaries, the Pentagon kept the project in strict secrecy, building the Sea Shadow inside a massive barge on the California Coast and testing it only at night. The public got their first official glimpse of the Sea Shadow in 1993 when daylight testing began, but the vessel was reported on before that as an ‘unidentified floating object’ in the years prior. However, local media remained generally convinced by a government cover fable that the barge was really owned by billionaire Howard Hughes, and planned for exhaust as a mining vessel. In early February 2018, photographs of a mysterious heavy cannon on a People’s Liberation Army Navy ship were posted on social media, quickly spreading in the media. Military experts soon revealed that the weapon was an electromagnetic rail gun, with China becoming the first county in the world to successfully mount the technology on a warship. Last week, a US intelligence report confirmed that the long-range weapon, which fires projectiles using electricity instead of chemical propellants, was in development, and that it would enter China’s arsenal by 2025. According to experts familiar with the report, the cannon’s high-precision shells will be able to strike targets 200 km away in under 90 seconds, with a single round costing $25,000-50,000 apiece (by comparison, a single Tomahawk costs $1.4 million). China’s program to develop a fifth-generation all-weather stealth fighter aircraft started in the late 1990s, with Chengdu Aerospace Corporation winning the contract to develop the plane. When an official announced that the project had reached an advanced stage in 2009, the internet was flooded with fakes purporting to be the J-20. However, as it turned out, one batch of grainy photos, published on a Chinese plane spotter’s blog in December 2010, proved to be authentic. According to one version of events, the Chinese military itself ‘leaked’ the photos to explain off. Officially, the PLA kept mum about the state of the plane until January 2011, when the J-20 made its first flight. The public got a closer stare at the J-20 in 2016 at an airshow. The jet was introduced in March 2017, with 20+ fighters reported to be in active service. The Status-6 Poseidon sub-launched nuclear-powered and nuclear-armed unmanned underwater vehicle was first revealed in November 2015, after a TV camera operator ‘accidentally’ snapped schematics of the system during a meeting between military officials and the Russian president. The screengrab showed profiles of next-gen Russian subs equipped with special docking nodes. In the center was a massive torpedo with a stated range of 10,000 kilometers, a 1,000 meter diving depth, and a maximum speed of up to 100 knots. Image of Status-6 plans accidentally leaked on Russian national television in late 2015. Initially convinced that the system was a disinformation operation, Pentagon officials eventually admitted the existence of the standoff system, confirming that it was being tested and dubbing it a “major strategic threat” to US ports, coastal military installations and carrier groups. President Putin confirmed the Poseidon’s existence in a speech to lawmakers on March 1, with the military later releasing further details about its capabilities and the timeframe for its introduction into the Navy. What are the top 5 guns for the new gun owner?